Summary: It’s not something I’d classify as an essential PSVR title, but the sheer charm of the world and its characters make exploring Pandora and experience I enjoyed far more than I first expected. 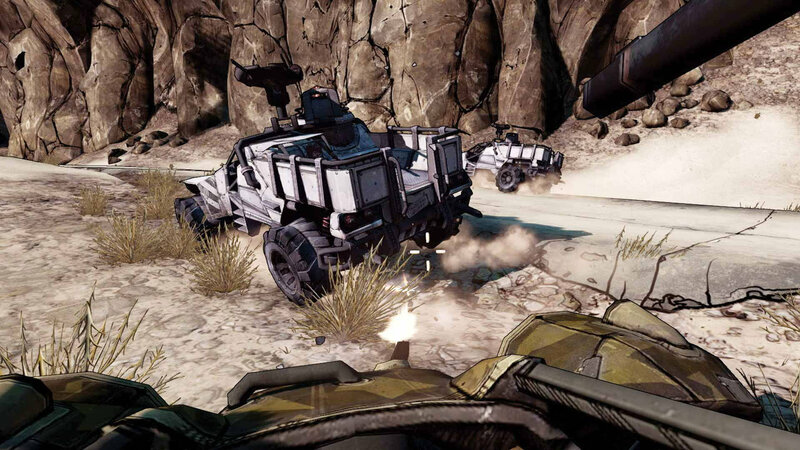 If we’re being honest, I’ve never really been able to get into the Borderlands series. Out of the initial trilogy released last generation, I only really played The Pre-Sequel to any great extent, and that was primarily due to having to review it. I dabbled with both the first and second game and, despite the robust humour being right up my alley, I found them to be lacking in the gameplay department, most likely due to my lack of interest in the “Shoot-and-Loot” genre… That’s probably why, across the entire series, the only game I truly enjoyed was Telltale’s brilliant take on the universe with Tales from the Borderlands. 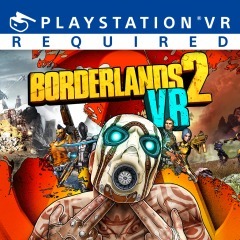 However, as is often the case with PSVR titles, playing with the old white headset strapped to your face offers a level of immersive interactivity that can elevate even the most mundane sounding of concepts into a truly special experience, so I had high hopes nonetheless for my return Pandora and its world of grizzled and goofy Vault Hunters. 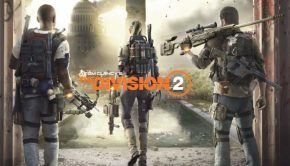 The lack of any DLC content, multiplayer component or AIM support were all strikes against the game from the get go, at least in my book, especially the inability to team up with other adventurers during the campaign. 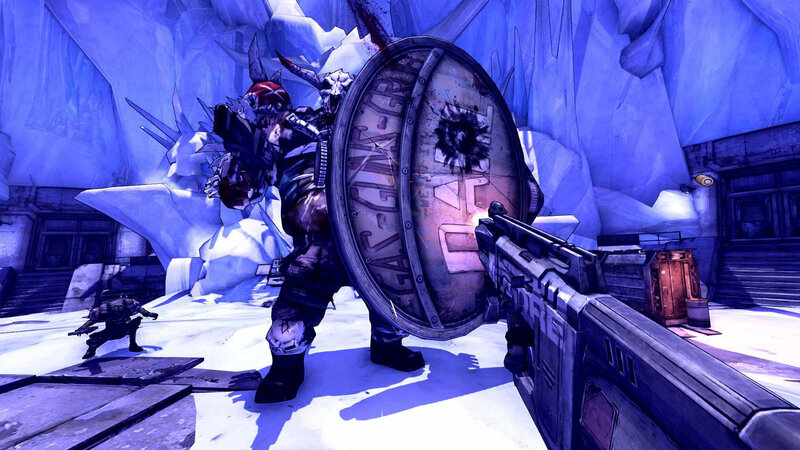 As someone who fell off of Borderlands 2 fairly quickly during my first playthrough, when re-evaluating the online consensus for the game it seems that those who revere the game the most do so precisely because the game allowed for frenetic, four player fun, and indeed some of my major gripes with the game come down to certain areas and enemy encounters clearly being designed for multiple players, making a lot of boss battles and the like tedious slogs as the bullet sponge enemies take a lot more to bring down solo than they would as part of a well-coordinated team. Here, however, 2K and Gearbox make the curious decision to completely excise any multiplayer component, leaving me with essentially the same issues that I had with my initial playthrough, except this time I was within the game itself lamenting the grind for gear. It’s not like PSVR isn’t capable of providing online multiplayer experiences, so, again, I’m not entirely sure what the reasoning behind it is. 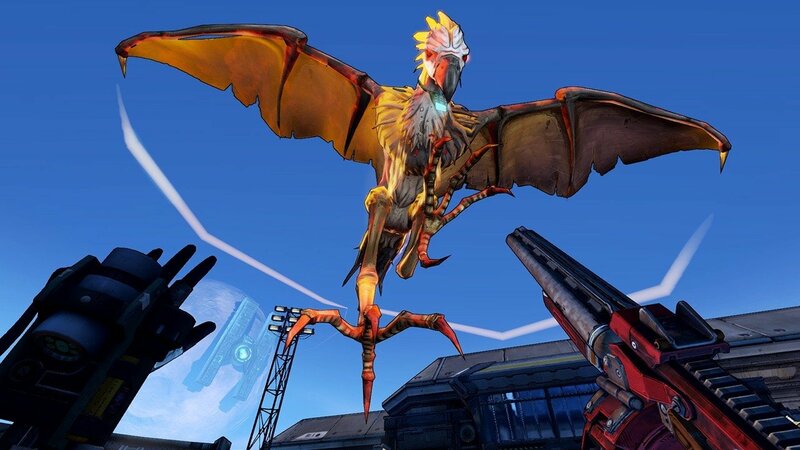 When you break things down, Borderlands 2 VR is basically the same base game that many have probably torn through by now, with seven years having passed since its original release, which means that, despite my moaning and groaning about the omission of the DLC, there’s still a shedload of content to work through here, with sidequests and the main offering around forty hours of content for those willing to really explore the world. Players take control of one of four Vault Hunters, each with their own class-specific abilities and skill trees, and must seek revenge against the megalomaniacal and charismatic Handsome Jack after he throws a spanner in your treasure hunting activities; it’s a familiar story but the world of Pandora is bolstered by the quirky cast of characters that inhabit it, making for a narrative that elicited more than a few hearty laughs as the game truly shines, personally, when it comes to the writing. 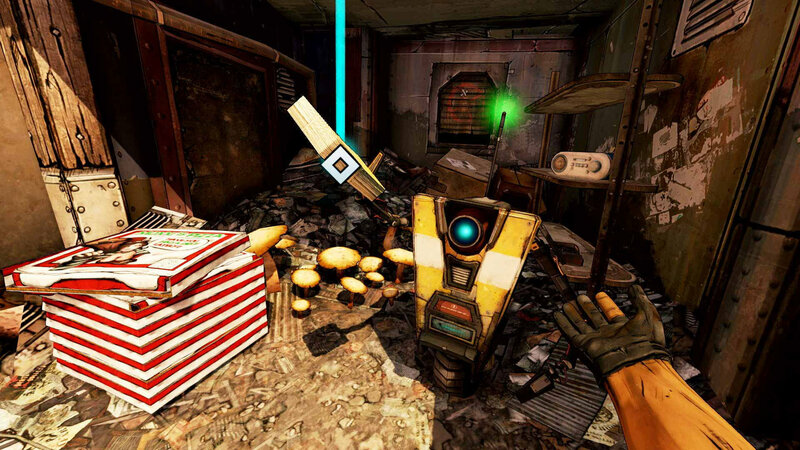 The gunplay feels satisfying, at least when using the dualshock, which brings me to an issue that’s compounded even further by the game’s lack of control setup options – Borderlands VR offers Move support but it’s so hastily implemented that I don’t see many electing to use any of the three options beyond having a cursory look. 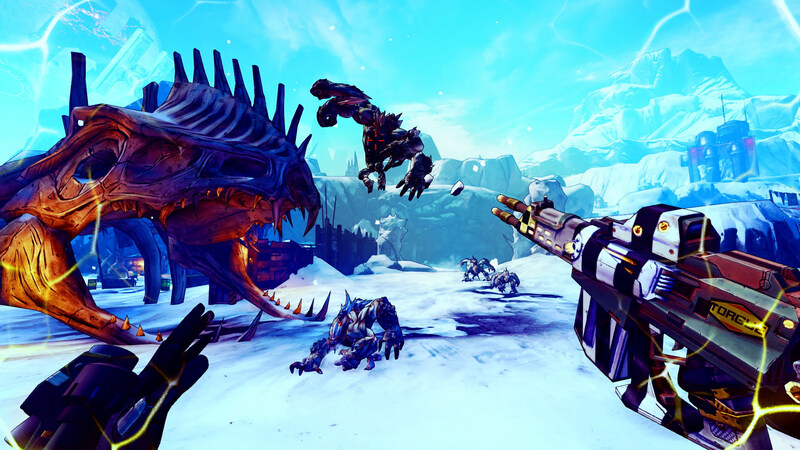 The PSVR relying on 180 degree tracking makes playing a fast-paced shooter that’s dependent upon fluid movement incredibly hard to play without encountering drift or other tracking issues. It’s just that the game requires you to be so physical and, unlike something like Superhot VR, the free range of movement and the fact that the game wasn’t initially built with VR in mind makes for an experience that is ultimately more frustrating than immersive. This stings a bit, as I’m a strong proponent for playing PSVR using the Moves whenever it’s viable, as it really helps to sell the experience, but while in quieter moments you can compensate for the controllers’ drawbacks, once things heat up it becomes too chaotic. The dualshock also offers the easiest movement scheme, as it allows you to use the headset tracking for aiming and the analogue stick for getting about. Developers have found some pretty unique workarounds for the fact that the Move controllers have no thumbsticks but here it just doesn’t feel comfortable using smooth movements with the Move, and I loathe teleportation so that’s off the table. 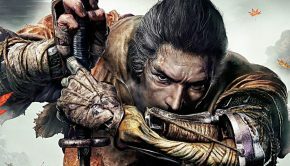 It’s admirable that there are a few different ways to approach the game, and your mileage may vary when it comes to using the Moves, but I personally found it easier, albeit less immersive, using the DS4. 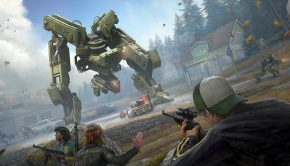 The gameplay itself has obviously had a few tweaks to compensate for the new medium, with the most noticeable being the reduced difficulty of the enemies, something I personally welcomed as I never enjoy emptying forty clips into a giant bullet sponge so I can get a better rifle or whatever. With both their accuracy and health bars seemingly nerfed, I found that this change addressed some of my biggest issues with my first playthrough, which was that you always felt underpowered due to encounters being designed to accommodate multiple players. 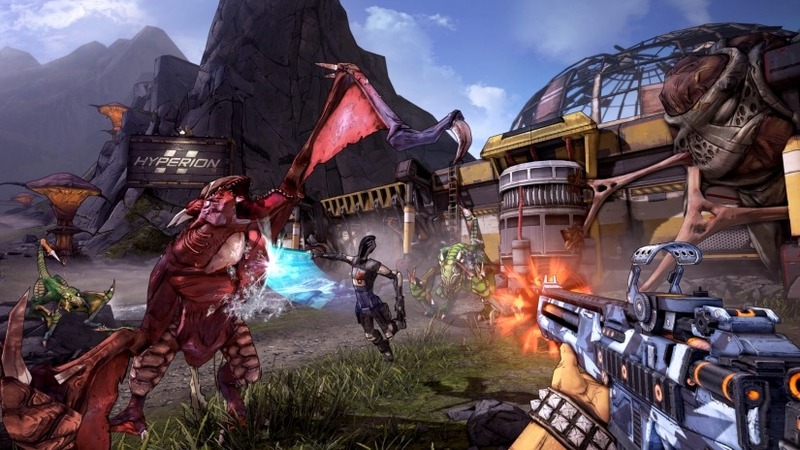 Here, you actually feel competent when mowing down your foes and you can more than hold your own against even the toughest of foes; this was a necessary change to compensate for the lack of multiplayer, of course, but Gearbox could have gone too far in either direction but have seemingly found that sweet spot in terms of the difficulty. 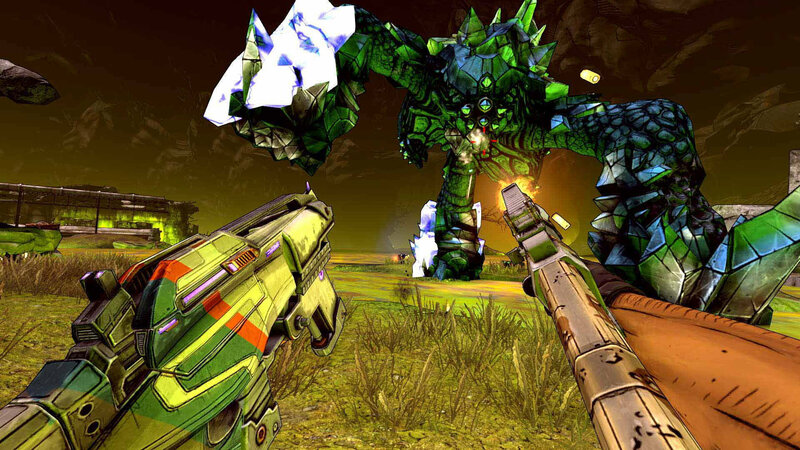 The skill tree has been similarly tweaked, allowing for auto-healing and the like, so it’s clear that Gearbox actually thought about how the game would work in a VR space rather than churn out a quick and lazy port. 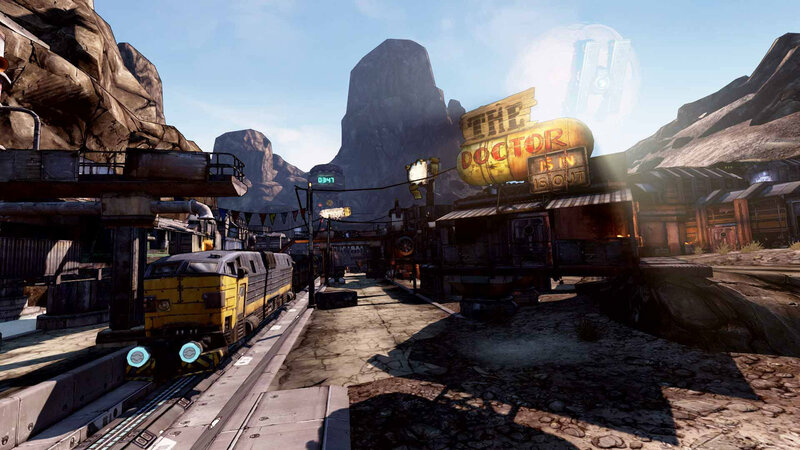 Although graphical concessions have to be made when porting a game to VR, Borderlands 2 VR actually holds up as one of the best looking PSVR games to date, especially when one considers the game’s age; the cel-shaded visual style more than makes up for any graphical downgrades and the vivid and colourful world of Pandora and its denizens all look pretty decent once you’re within the world. There’s little aliasing, at least on the pro, and although some distant objects can be difficult to make out, the clarity is pretty consistent throughout. 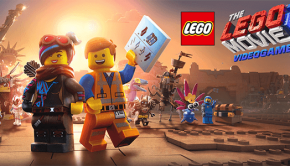 Sound design is equally as impressive, with terrific performances from the cast and multi-directional audio that really helps to plonk you into the world of savage Vault Hunting lunatics. 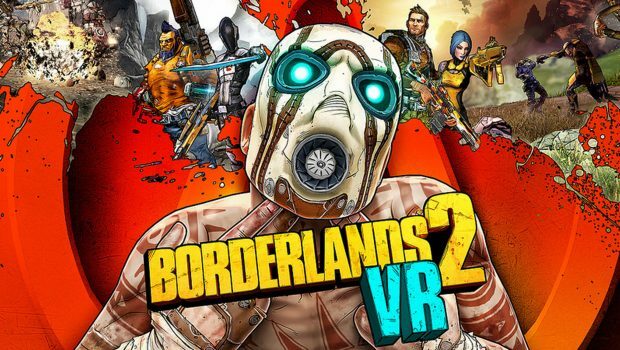 It’s a shame that none of the Move controller schemes clicked for me, but again I found myself finding new appreciation for a game I’d previously dismissed via experiencing it on PSVR, so I have no qualms recommending it for both newcomers and long-time fans alike who want to experience the world of Borderlands in a new dimension.